As these questions suggest, agency law often involves three parties—the principal, the agent, and a third party. 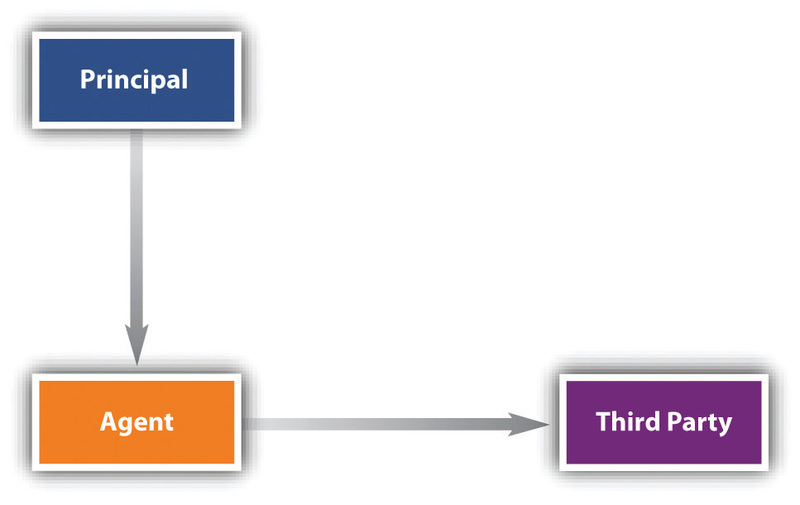 It therefore deals with three different relationships: between principal and agent, between principal and third party, and between agent and third party. These relationships can be summed up in a simple diagram (see Figure 14.1 "Agency Relationships"). Normally, the general agent is a business agent, but there are circumstances under which an individual may appoint a general agent for personal purposes. One common form of a personal general agent is the person who holds another’s power of attorney. 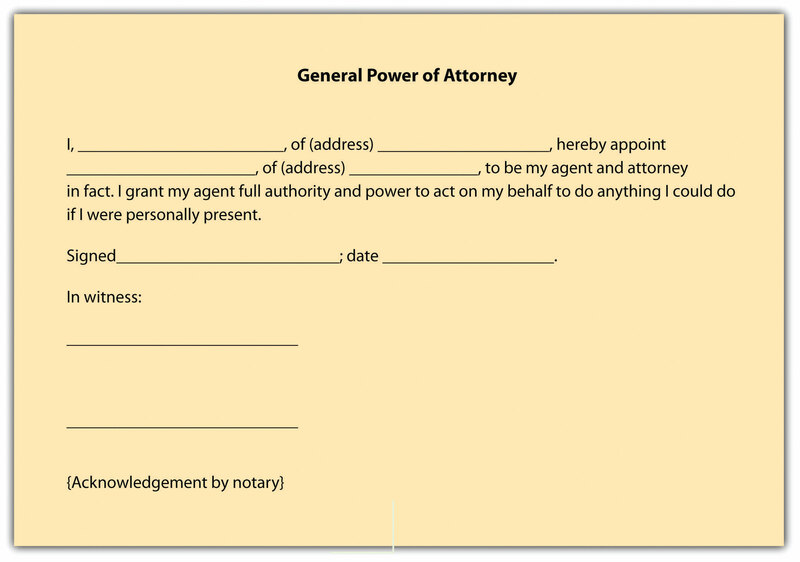 This is a delegation of authority to another to act in his stead; it can be accomplished by executing a simple form, such as the one shown in Figure 14.2 "General Power of Attorney". Ordinarily, the power of attorney is used for a special purpose—for example, to sell real estate or securities in the absence of the owner. But a person facing a lengthy operation and recuperation in a hospital might give a general power of attorney to a trusted family member or friend. To carry out her duties, an agent will often need to appoint her own agents. These appointments may or may not be authorized by the principal. An insurance company, for example, might name a general agent to open offices in cities throughout a certain state. The agent will necessarily conduct her business through agents of her own choosing. 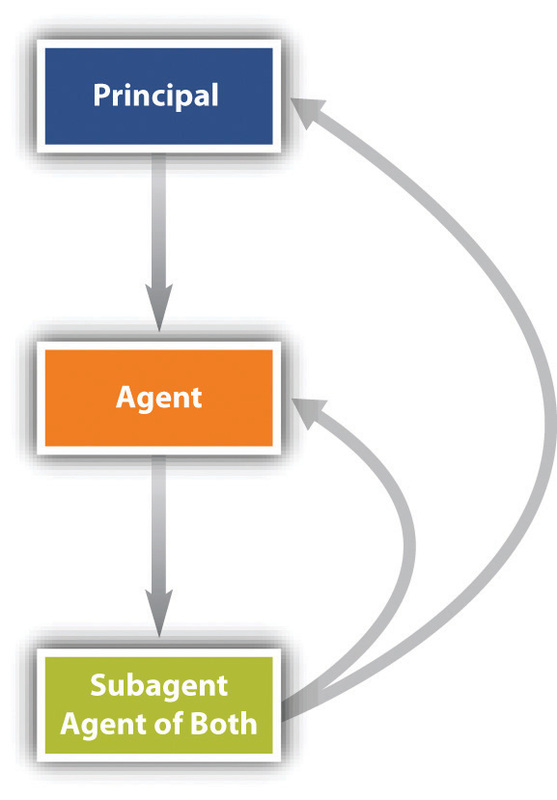 These agents are subagentsThe agent of an agent. of the principal if the general agent had the express or implied authority of the principal to hire them. For legal purposes, they are agents of both the principal and the principal’s general agent, and both are liable for the subagent’s conduct although normally the general agent agrees to be primarily liable (see Figure 14.3 "Subagent"). The factual situation in each case determines whether a worker is an employee or an independent contractor. Neither the company nor the worker can establish the worker’s status by agreement. As the North Dakota Workmen’s Compensation Bureau put it in a bulletin to real estate brokers, “It has come to the Bureau’s attention that many employers are requiring that those who work for them sign ‘independent contractor’ forms so that the employer does not have to pay workmen’s compensation premiums for his employees. Such forms are meaningless if the worker is in fact an employee.” Vizcaino v. Microsoft Corporation, discussed in Section 14.3.2 "Employee versus Independent Contractor", examines the distinction. Most agencies are created by contract. Thus the general rules of contract law covered in Chapter 8 "Contracts" govern the law of agency. But agencies can also be created without contract, by agreement. Therefore, three contract principles are especially important: the first is the requirement for consideration, the second for a writing, and the third concerns contractual capacity. Implied agencies also arise where one person behaves as an agent would and the “principal,” knowing that the “agent” is behaving so, acquiesces, allowing the person to hold himself out as an agent. Such are the basic facts in Weingart v. Directoire Restaurant, Inc. in Section 14.3.1 "Creation of Agency: Liability of Parent for Contracts Made by “Agent” Child". Suppose Arthur is Paul’s agent, employed through October 31. On November 1, Arthur buys materials at Lumber Yard—as he has been doing since early spring—and charges them to Paul’s account. Lumber Yard, not knowing that Arthur’s employment terminated the day before, bills Paul. Will Paul have to pay? Yes, because the termination of the agency was not communicated to Lumber Yard. It appeared that Arthur was an authorized agent. This issue is discussed further in Chapter 15 "Liability of Principal and Agent; Termination of Agency".